A one-day workshop providing simple techniques to support integration of the nervous system. 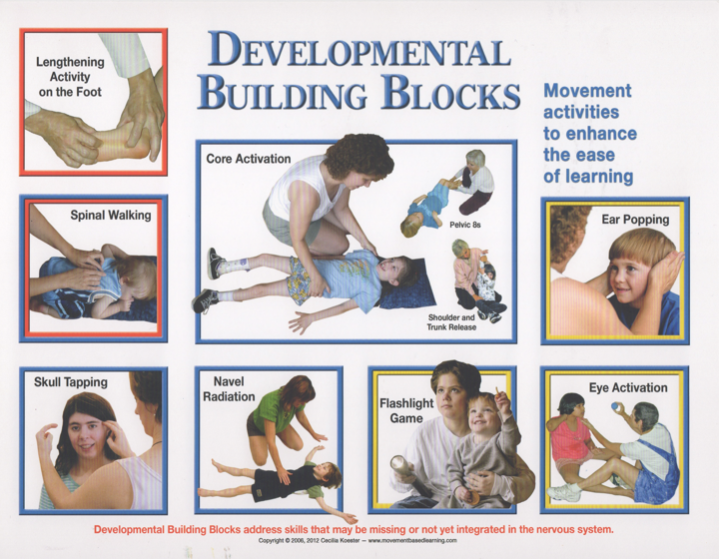 These techniques strengthen the developmental foundation and lead to higher functioning in daily life skills. While they are especially beneficial for those with a less-mature nervous system, people of all ages and abilities find them relaxing — and delightful! These techniques were developed by Cecilia Koester, as part of her Brain Gym® for Special Needs Providers course. Kathy Brown is an authorized provider of this one-day workshop. Prerequisite: None – All are welcome!